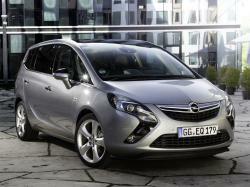 Correct Wheel Sizes, PCD, Offset, Rims and Tire specs for Opel Zafira series. Zafira b, 2006 with 225, 45, 17 wheels and tyres. Spare wheel stolen. Can I use 175, 65, 16 as suggested as alternative or 195,65, 15. ? Hi,goony,yes,195/65/15 can fit for your car.But offset is not.try 35. 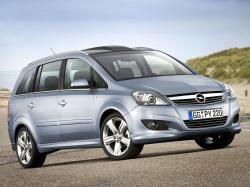 I have zafira 2004 i want ro upgrade my alloywheels to penta alloy wheels 5x110 18 will that fit my zafira? Hi,Alex,The bolt pattern is ok,and what the offset? 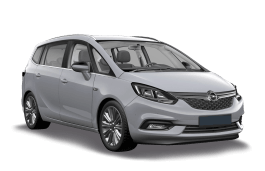 I have a 2014 1.8 zafira and it got steel wheels size 16, can i replace it with alloy wheels taken from previous models? Thanks. 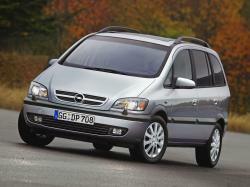 I have a 2001 Opel Zafira 1.6 Z16XE . Can I use 195/65/R15 with ET49 ? Hi,Emil Gruia,What your current tire size? My current size is 195/65/R15 with ET35, but the wheels seems too "spreaded" (with the specific disadvantages) . The original alloy rims are 195/65/R15 with ET43, and GM recommend ET 35-45 .